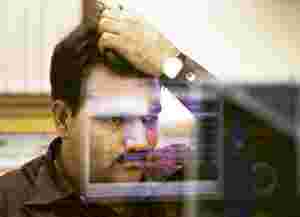 Mumbai: The benchmark index of the Bombay Stock Exchange, the Sensex, fell below the 10,000 level on Tuesday, mirroring the decline in other key Asian markets, even as analysts warned that fears over corporate earnings downgrades and global recession would cause markets to fall after a two-week rally. The benchmark 30-stock index closed at 9,839.69, down 696.47 points, or 6.6%, reversing Monday’s 5.7% gain. After dropping to a three-year low of 7,697 points on 27 October, the Sensex regained around 42% to nearly touch 11,000 levels on 5 November, outperforming other key markets during a relief rally across global markets. The rally stemmed from a global price correction in stocks in September and October, triggered by what equity strategists are now terming “the biggest margin call in history". The downward direction of the index this year was largely driven by FIIs, who have sold some $12.63 billion (about Rs60,119 crore) worth of Indian stocks net of purchases thus far this year, after being buyers (net of sales) to the tune of about $8 billion in 2006 and $17.36 billion in 2007. The Sensex slumped at least 60% this year before reclaiming some lost value during the relief rally. DIIs, however, were buyers of $14.25 billion worth of stocks, net of sales, this year. Many local fund managers now expect to see a sharp drop in the Sensex in the near term, which could see it slump again to around 8,000 levels, led by downgrades in corporate earnings, declining estimates of India’s economic growth rate and other negative news flows. US financial services firm Goldman Sachs Group Inc. on Monday cut its gross domestic product (GDP) growth expectations for India to 6.7% in fiscal 2009, slower than an earlier estimate of 7.5%. Madhusudan Kela, head of equity investments at Reliance Capital Asset Management Ltd, India’s largest mutual fund house, expects the index to drop to 8,000 levels again, presenting a buying opportunity. Other large investment houses in the country, including Life Insurance Corp. of India, also subscribe to Kela’s view and expect a larger relief rally following this correction. “About $3 billion worth of local insurance money is waiting to get pumped into Indian stock markets," said Nandan Chakraborty, head of research at Enam Securities Pvt. Ltd. In the short term, however, “every other company could announce how bad things have turned and defer projects, just as they said (a) few months ago that things were going wonderful", said the head of a large foreign corporate advisory firm, who did not want to be named. Meanwhile, many FIIs are betting on an extended global relief rally in the short term. This is also evident from their trade calls on India in the past few weeks, when they largely turned buyers. Christopher Wood, chief strategist of regional brokerage house CLSA Asia Pacific Markets, in his latest Greed and Fear report, said he “continues to believe Wall Street-correlated world stock markets have embarked on a relief rally that could run to the 1,200 level on the S&P 500". On Tuesday, the Dow Jones Industrial Average opened weak and was trading at 8,661.30 points, down 2.4% at 8.45pm India time. Wood continues to advise investors to be prepared for a relief rally, in which he expects Asia to outperform, led by the financial sector. The relief rally, according to him, could be all the more dramatic because of the scale of the recent sell-off, driven by forced selling by leveraged investors. “The sustainability risks to India’s balance of payments are overdone," said Indranil Sengupta, India economist for Merrill Lynch and Co. Inc. in a 10 November report. The local currency, according to him, is “expected to retrench in second half of financial year 2009 (since October) on falling oil prices, reduced risk aversion and RBI (Reserve Bank of India) policy measures to stem depreciation". Though FIIs and DIIs are taking opposite bets for the short term, there is a consensus among them on more monetary easing by the Indian central bank and large feel-good fiscal policies by governments around the world. These investors have also formed a consensus on an impending domestic slowdown in the mid-term, as activities such as corporate capacity expansion plans take a back seat, even as consumer demand and industrial production drops globally.